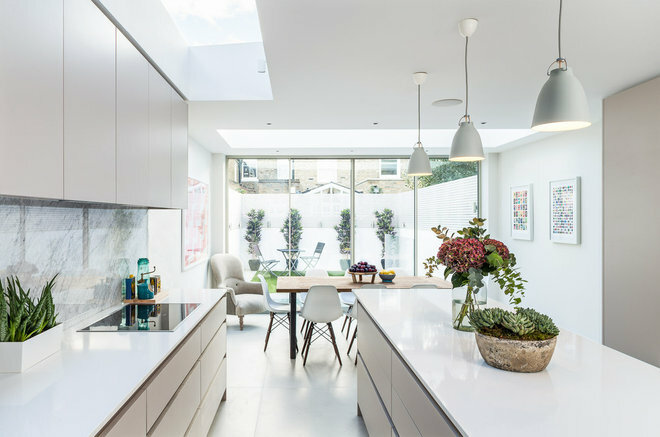 There’s no denying that big, uncluttered windows or a lick of white paint will usually make a room feel sunnier, but they’re not the only ways to fill a space with natural daylight so they look like these bright schemes. 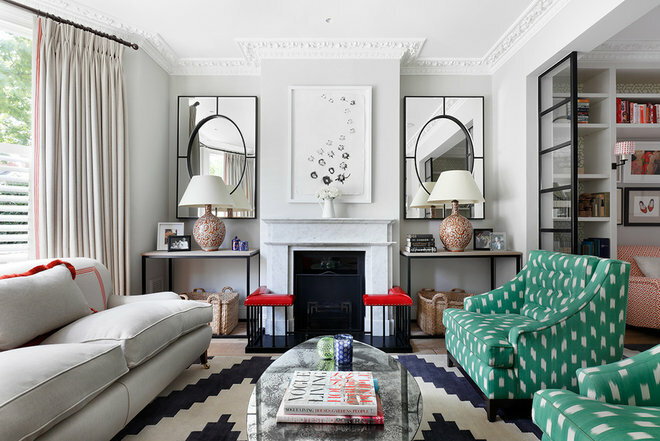 In fact, with each of these rooms, the designer has used a clever ploy to up its light levels – and you can easily copy them. Top light is tons brighter than daylight from conventional windows, so if there’s an opportunity to install a roof light or sun tunnel in a room, don’t hesitate. That done, maximise it with surfaces – such as kitchen cabinet doors or worktops – in pale colours and with a light-reflecting mid-sheen. High-gloss finishes? Swerve them in a top-lit room, as every smudge and fingerprint will show up. Could you up your daylight levels and make your room feel sunnier, too? First things first – abandon thoughts of bulky curtains, unless you can pull them right back past the window frame and over the wall. Ditch Roman blinds, too – they block out valuable light from the top part of the window. 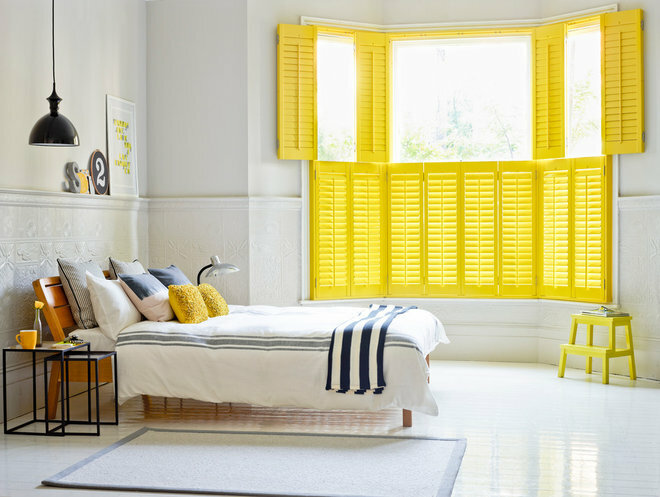 Shutters are a fab choice, but pick ones in a pale or warm colour so the daylight that filters through glows. We all know a white ceiling will make a room seem higher, while white walls will make it feel larger. Add a white floor to that equation and the lightening, brightening effect will be maximised. On a budget? 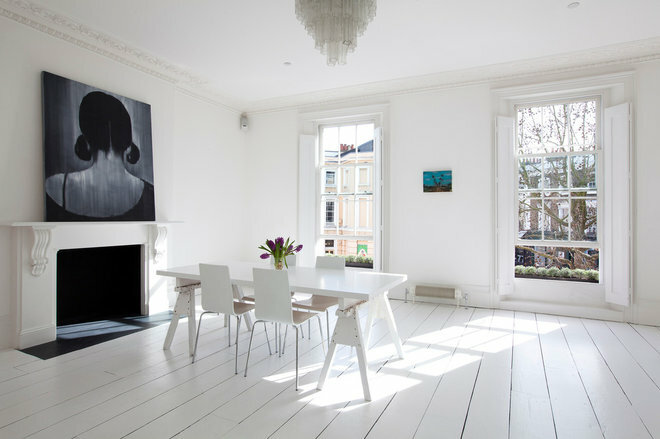 White-painted floorboards are an affordable option, plus the lines of the boards add pleasing texture and create a space-stretching visual effect. If you choose a mid-sheen floor paint (and lots of specialist ones come as standard in this finish), they’ll reflect lots of light and be easy to keep clean. 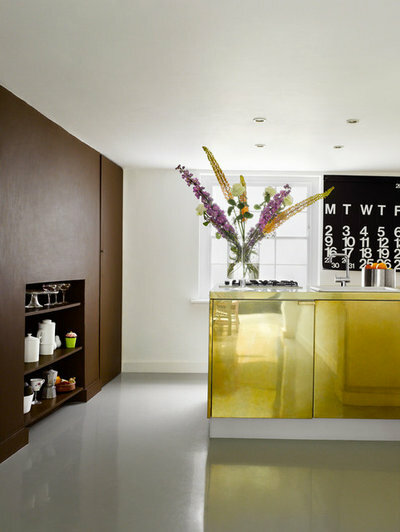 Just as you’d pick a light-reflecting mid-sheen paint for your floor, choosing furniture in mirrored glass or a high-gloss metal will help to bounce lots of lovely light around (though in already bright rooms, beware of the fingerprint factor mentioned in the first caption). The furniture’s light-reflecting qualities will also give you the freedom to introduce moodier shades elsewhere in the room without compromising light levels. You can up the light levels in even the brightest of rooms with expansive, floor-to-ceiling, wall-to-wall mirrors. The best place to put them to bounce maximum light around and create a space-enhancing effect is on an adjacent – rather than opposite – wall to the window. 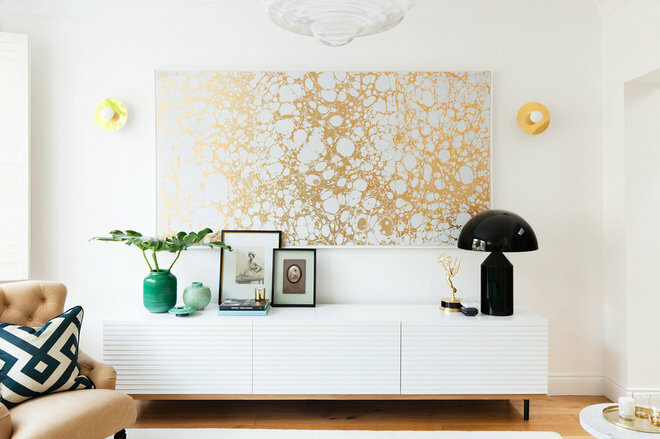 It stands to reason that the taller and bulkier your furniture is, the more light it will block out, so choose low-slung pieces and your room will feel instantly brighter. What’s more, your ceiling will automatically feel higher, too. Pick light-coloured pieces and the whole effect will be enhanced still further. 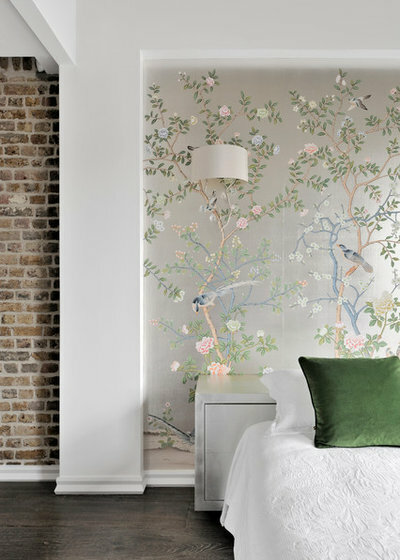 If you’re opting for wallpaper for your room and want the transformed space to be light, choosing a design with a pale background will do the job. You can increase the brightening effect even more by picking a metallic finish that will make the wall shine and reflect the light. Even the brightest of rooms have dark spots, with alcoves the biggest culprits. 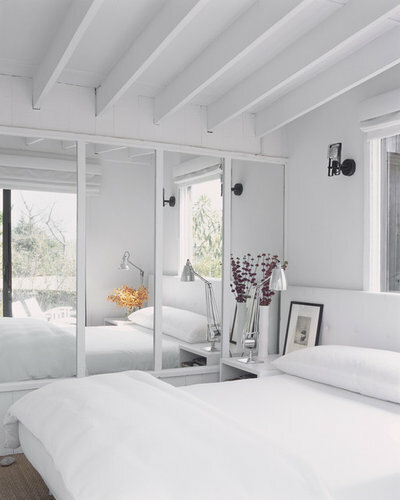 You can combat them by painting the walls in pale colours that recede rather than dark ones that advance, and by hanging mirrors in them to increase the feeling of depth in the room – and, of course, to reflect light. Curtains – particularly in dark colours – narrow windows, while Roman blinds decrease their height. Window film, on the other hand, provides privacy but allows in all the light available – perfect for a room that doesn’t need to feel cosy, such as a bathroom or kitchen. 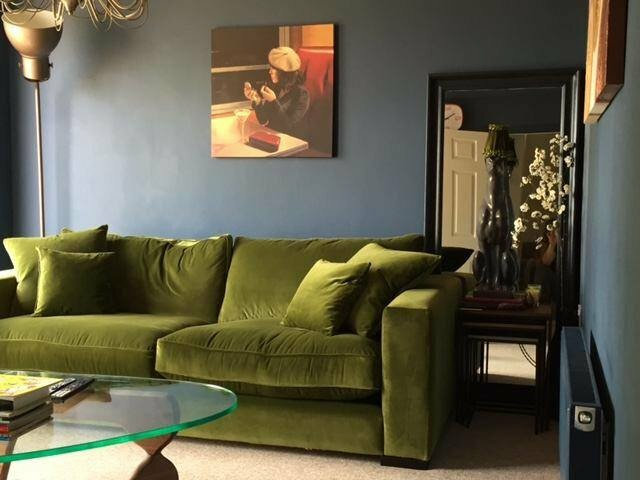 If you’re lucky enough to have a light-flooded room, you can go to town on moody wall colours and dark, dramatic shades for furniture. However, that doesn’t mean you should pass up the chance to add an extra touch of shine. One easy way to do this is with lustrous materials – think velvet, chenille, silk or satin. They practically glow in the dark.